October 10, 2017 By Tina M 5 Comments This post may contain affiliate links. Read my disclosure policy here. I personally wear a messy bun all of the time, but I like hers better. After personally witnessing enough people ask her how to do a messy bun like she does, I knew a messy bun video tutorial needed to happen. 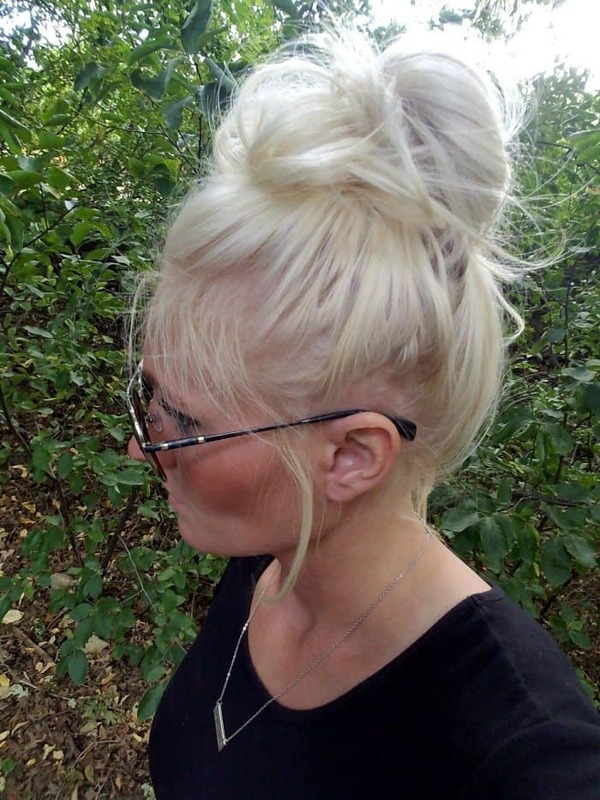 Thank you T, for inspiring the mom world…one messy bun at a time. Another thing I have noticed, is that she always has an elastic on hand, because of her BRACELET! How genius is that?! I had never seen these elastic holder bracelets before until my friend showed me hers, but it’s basically a fun and handy way of always having an elastic on your wrist. 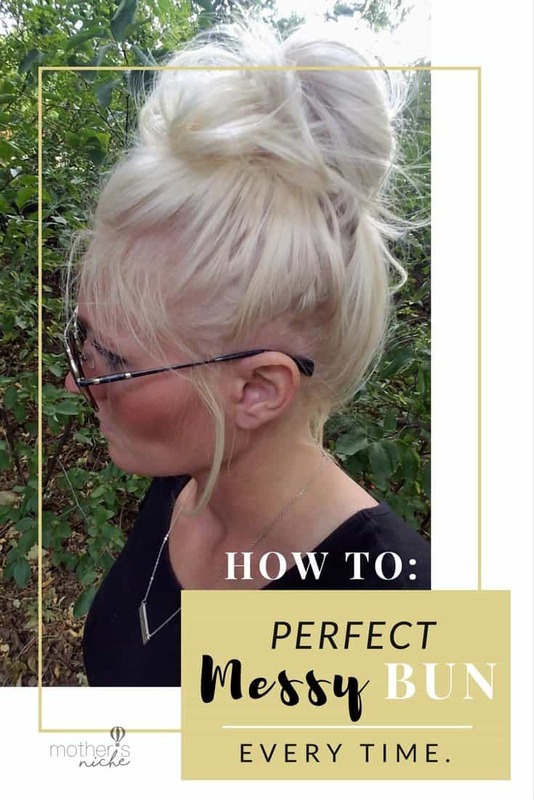 I asked her to create the video long and slow so that we could all catch on, but once you practice, you will get the perfect messy bun in just seconds. She literally whips this thing into creation in the blink of an eye and it’s so impressive. There you have it! The ‘how to do a messy bun’ secret is finally out! 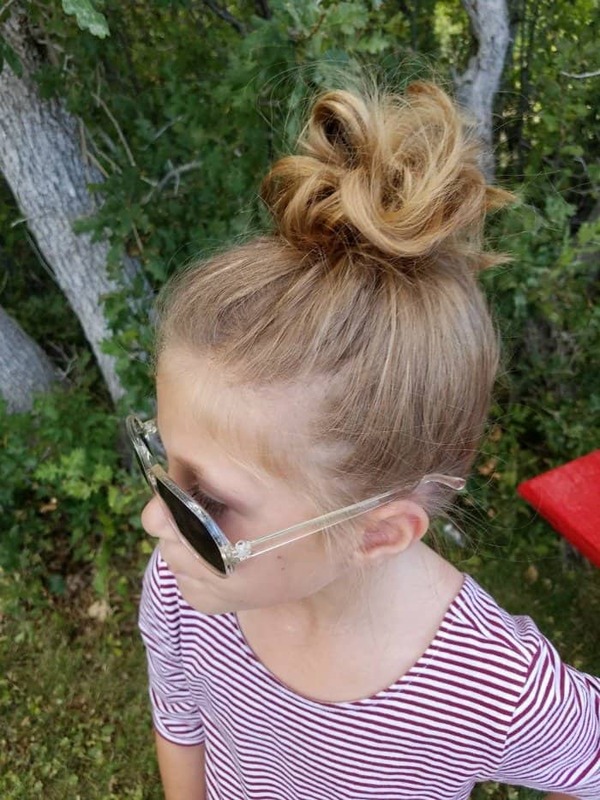 And the quick and easy messy bun looks so great on little girls too! Now you have another fun hairstyle up your sleeve for the next time your daughter is running late to school. Thanks for checking out our messy bun tutorial, don’t forget to check out our tips for healthy hair! After watching a billion messy bun tutorials, I finally FINALLY learned how to make one from you <3 thank you so so much!! !